Red Bowling Ball Bank is 4" Tall. There is a removable black rubber plug on underside to take coins out. 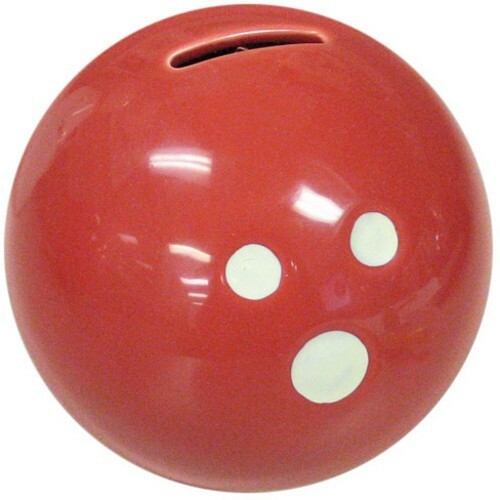 Due to the time it takes to produce the Ceramic Bowling Ball Bank-Red ball it will ship in immediately. We cannot ship this ball outside the United States.